Y’all, last weekend was such a treat! My husband sent me to the Lake Tahoe area in California to visit my oldest friend in the world (as in we’ve been buddies since first grade)! We grew up together, singing in our kids’ choir at church, reading Little House on the Prairie books over and over and over, racing to get our schoolwork done before the rest of the class and so much else. After college, we lost track of each other — only reconnecting in 2014 via Facebook. To see her again after TWO DECADES! Oh my gosh!!! Best. Trip. Ever!!! We didn’t plan ahead much — with 20 years to catch up on, we figured talking would take up most of our time. 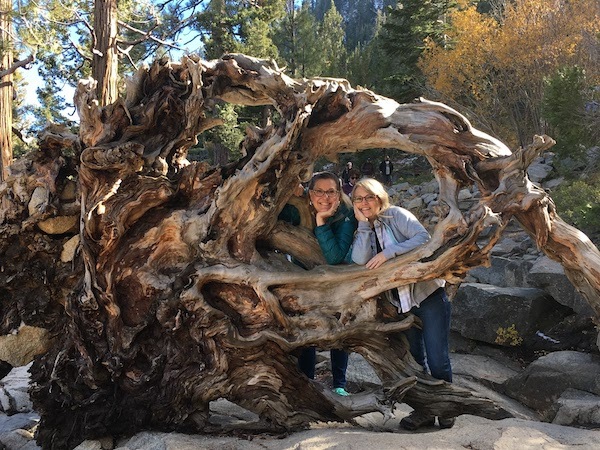 But, she and her husband did plan a few wonderful things — like visiting Old Sacramento, hiking Lake Tahoe and eating lots of good food at all their favorite restaurants. Simple. So different from a blog trip (blog related travel usually involves a schedule from sun up to bedtime with a couple hours to catch up on work somewhere in the day). Of course, the highlight of the trip WAS seeing Shelley again! She’s as wonderful as ever… Meeting her husband, John, was awesome, too. Having her fraidy cat — the one who always hides under the bed whenever someone comes to visit and who they said I’d never see after my first glimpse — warm up to me like family — well, that was nice too. Just call me the cat whisperer! Second to that, hiking Lake Tahoe was the highlight of the trip. Simply majestic. 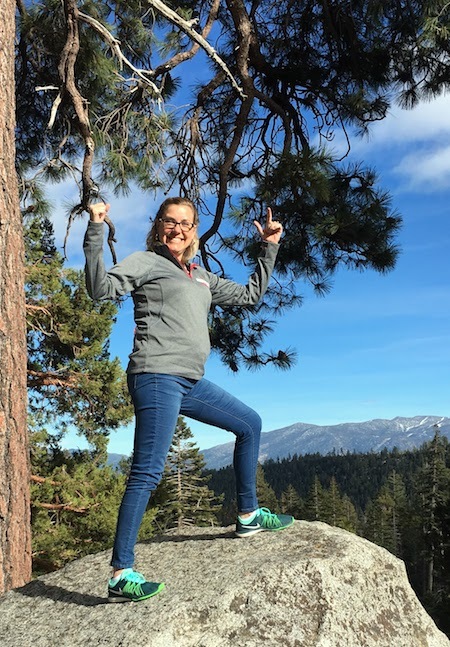 But, hiking at Lake Tahoe takes some planning — thankfully, I went with pros. If you venture out on your own, use these pro tips for a great hike! I live in the humid southeast. Temperatures here rarely fluctuate much, and certainly not fast. If it’s 80 during the day, I rarely need a jacket before midnight. 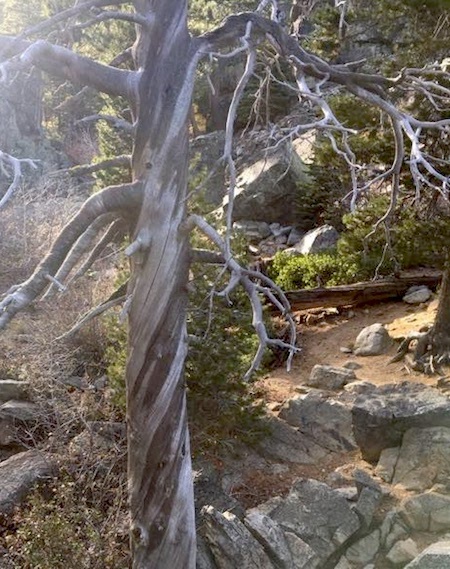 But, in the super-dry climate of Lake Tahoe, temperatures can change fast. So, wear layers. A t-shirt, hoodie/long sleeve shirt, and jacket are good. Once the sun dips behind the mountain tops, the temperatures fall fast. 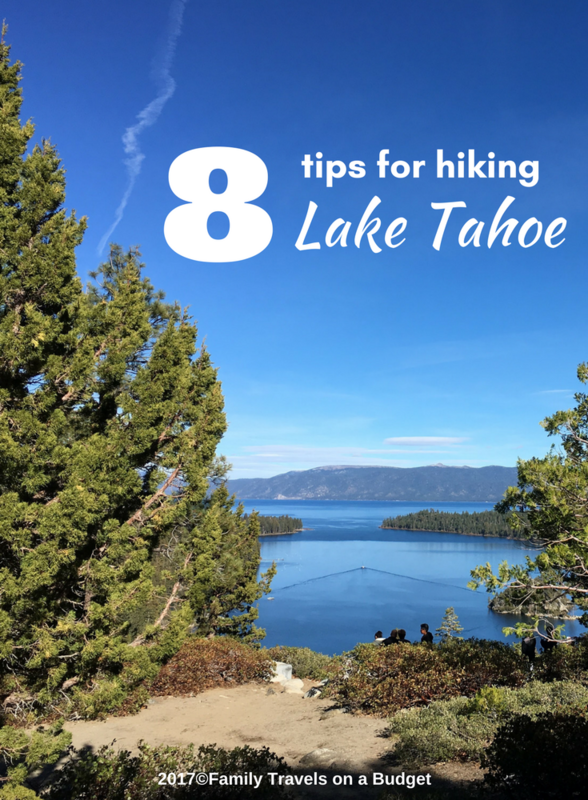 Carry a lightweight backpack to hold those layers while hiking Lake Tahoe, so you don’t lose things! 2. Wear real shoes. NOT flip flops! Pockets filled with water bottle and protein bars for the hike — sturdy shoes on my feet. I’m good to go! 3. Bring water. Lots of water! The dry air and high altitude tax the body. Stay hydrated with water or some sort of sports drink. You’ll need it. So…. 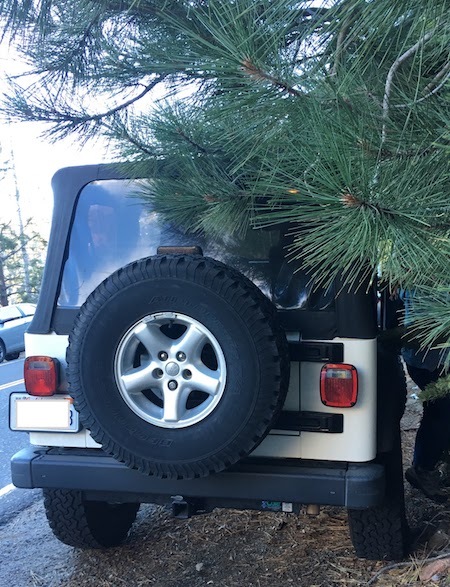 Lake Tahoe, being in the mountains at all, leaves little flat space for parking lots. We checked a couple of lots, all full, and ended up parking alongside the road. It’s doable, but make sure your car is OFF the road so traffic can pass safely. Also, when getting out of your car, move out of the roadway quickly. With so many curves, it’s hard for drivers to see too far ahead. Of course, the flipside is when driving, watch for pedestrians! It’s a busy place. 5. Prepare for the crowd. 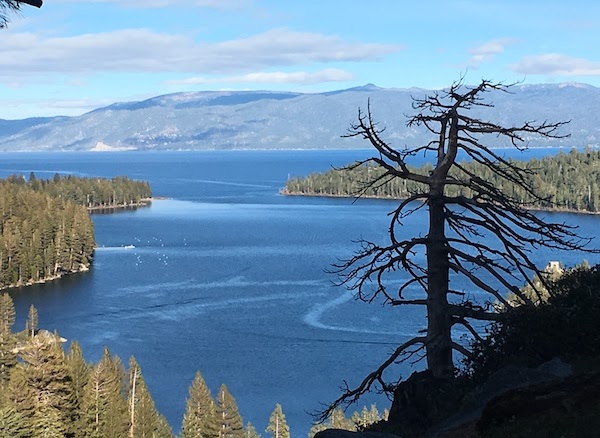 Lake Tahoe is stunning, and from higher elevations, the view is even more dramatic. But, those views draw millions of visitors each year. A few times we had to wait patiently for people to pass by in order to get the photos we wanted. Interestingly, we’ve had this same experience at many major tourist destinations, like viewing the Mona Lisa at the Louvre. Famous stuff just draws crowds. Expect them! The Eagle Falls trail offers stunning views along the entire route. Don’t get so focused on the climb that you miss the views. Besides, you can catch your breath when admiring the natural beauty of the area. While the lake’s rich blue hues are the big draw, look up, down and all around. The rock formations, trees (some with twisted trunks) and other foliage are pretty too! I figured after mentioning the beauty, I should probably add that caveat. Traveling carry-on only, I left my DSLR camera at home and relied on my phone’s camera instead. I regretted that decision (a bit). But… that just means I get to go back! Right? 8. Factor in the elevation. This, perhaps, is the most important tip. The trail we took starts at about 6,000 feet above sea level. My hometown of Clayton, NC is only 341 feet above sea level. I struggled with the thin mountain air! To be honest, I was frustrated with myself for not being able to hike like I do at home. Once I remembered that I was high in the mountains, I took more breaks and slowed my pace. 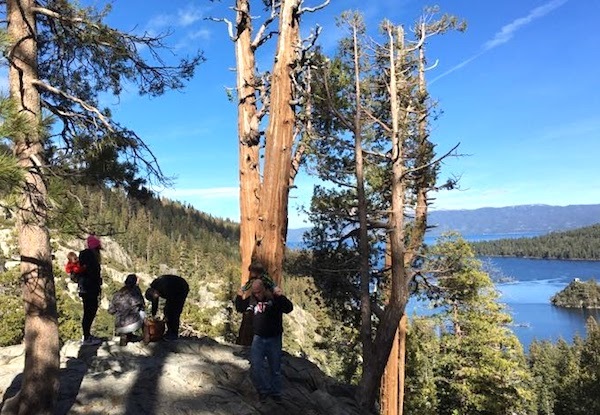 If you’re heading to the mountains and plan to do any hiking at Lake Tahoe, allow a couple days to acclimate to the higher elevation if you have the time and plan to do anything strenuous. Then, listen to your body. If it’s tired, slow down and/or rest. 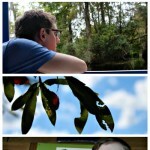 Adventure Tallahassee, by land, “air” and sea! Thanks for these tips. I haven’t been to Lake Tahoe yet and it does look like a dream vacation for a nature lover. Maybe sometime we can go there. I will ask my husband so we can start planning for it. I’ve never been to Lake Tahoe… the sights is beautiful!!! 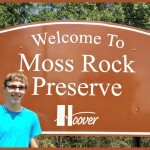 I hope to visit it one of these days. Wearing running shoes is always a must! I love hiking and would love to visit Lake Tahoe one day! 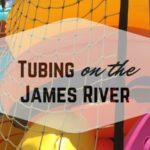 I have friends who are planning a trip to Lake Tahoe and this would be great for them to read. Thanks for sharing! I’ve never been to Lake Taho or anywhere else in that region and have always wanted to go. It sounds like the trail had some great sights to see. What a beautiful area. I wished that we had places like that to hike at here. These are all great tips for almost any hiking trip! I have always heard such great things about Lake Tahoe, it is such a beautiful place!! I would love to hike it one day!! Oh I’d definitely want to take my time and take plenty of pictures. I don’t get to enjoy sights like those at Lake Tahoe too often. I love to go hiking. Lake Tahoe would be amazing to go explore. I will have to check it out the next time I am in the area. I’m not much of a hiker but would love to visit Lake Tahoe. Such lovely scenery and lakes. I absolutely love that area. Wow, doesn’t it feel so good to see someone that just connects with you so well no matter how much time has passed? I’m from the S F Bay Area and Lake Tahoe has always been one of my fave places to visit. So beautiful and the air is always so fresh and crisp. Great tips too! Never been to Lake Tahoe. Looks so beautiful. Would be wonderful to hike all way around. I have never been to Lake Tahoe. I have heard it is a beautiful place and I am hoping before tomorrow we will travel up there and be able to enjoy some of that nature. Some of my relatives went to Lake Tahoe recently and had a wonderful time. I’d love to visit that destination next summer for sure. I went to Lake Tahoe last September and it was stunning! Perfect weather, perfect scenery, perfect everything. I really truly want to go back and bring my husband, I know he’d love it! How exciting for you! Visiting a childhood friend is always fun. I haven’t been to Lake Tahoe in years and would love to revisit. Looks like you had a great time! Awesome tips! What a beautiful area. I’ve never been to Lake Tahoe before but I always hear how amazing it is. One day I’ll have to make a trip over there. I have always wanted to go to Lake Tahoe. It sounds like such an amazing place to hike! I hope to get there someday. I had no idea it was so vividly blue. Great place to hike — and eat (more on that in a later post).